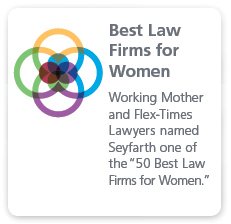 Seyfarth Shaw’s White Collar, Internal Investigations, and False Claims Team provides cutting-edge advice to clients in the rapidly expanding and complex area of federal and state laws (both criminal and civil), which seek to enforce alleged violations of, for example, the Foreign Corrupt Practices Act, False Claims Act, and many other provisions covering similar fraud and abuse. We have successfully defended clients in complicated federal and state False Claims Act and qui tam actions brought by the government and private relators in a wide range of industries, including health care, defense contracting, financial services and accounting. We also defend clients in complicated fraud and abuse investigations and enforcement proceedings. Our multi-disciplinary team draws upon years of experience in securities litigation, white collar criminal defense, corporate compliance and fraud prevention to provide a wide range of services, from conducting internal investigations and counseling to defending clients in multi-million dollar civil fraud actions and white collar criminal prosecutions. 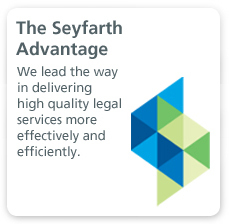 With the depth and breadth of our experience in key practice areas, our team is uniquely qualified to represent clients in all aspects of federal and state FCPA, False Claims Act, and fraud & abuse counseling, investigations and litigation. Our white collar defense lawyers represent clients in investigations and prosecutions by the Securities and Exchange Commission (SEC), Department of Justice (DOJ), the Department of Health and Human Services (HHS), Office of Inspector General (OIG), and federal and state prosecutors. Our securities litigators defend clients in investigations and enforcement actions by the SEC, DOJ and other government agencies. 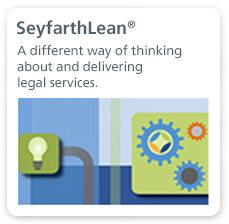 Using SeyfarthLean® principles and practices, our team has developed methods for conducting effective internal investigations into allegations of misconduct in a way that minimizes the potential liability for the client, while controlling costs and keeping disruption in the workplace to a minimum.